Nouvelle Star: the end is nigh, Julie is out and does anyone really care anymore? My interest in "Nouvelle Star" has waned considerably since Pierre's departure last week, leaving Julien, Tigane, Gaetane and Julie as the final four. This week Tigane and Julie were in the bottom two, and it was Julie - who's lucky she made it to this stage as she's nothing particularly special - who made her exit. Oh well, I'll probably watch the videos eventually..
As stated previously, it looks as if Julien (described by one French showbiz mag as the long lost son of oddball Philippe "J'Adoooooooore" Katerine) who will take the prize this year. As you know I am not a fan of Julien, although credit where it's due for his slaughter of "I Put A Spell On You" some weeks back. No reality pop show contestant anywhere in the world would ever dare to put on such a so-bad-it's-good performance like that. He may yet have the last laugh. As for Gaetane, she got some mileage out of an alleged romance with Julien, although when it comes to singing talent she wouldn't stand a chance against, say, Star Academy's Dominique and Cynthia or indeed Nouvelle Star's Amel Bent. CD-WOW versus the BPI: whatever happened to the free market? So much for customer choice. We learned today that the rather wonderful CD-WOW! lost its court case against the all powerful BPI, the fatcats who control the British record industry, and will now have to pay approximately £35 million in damages. Yeah, the BPI, who all those years ago wagged the finger and told us that home taping is killing music. The same BPI which now battles the tide of illegal downloading. Yet they choose to punish something as legitimate as CD-WOW! which sells real CDs - not fake ones - the only 'crime' being that the company may have sold CDs which were licensed for sale in Hong Kong, for example. Who cares where they were licensed - they were (and are) legal, and give us, the record-buying public, a chance to obtain CDs at decent affordable prices and not the rip-off-Britain prices which you'll pay in many record stores. What was that about internet shopping giving us freedom of choice? There won't be much chance of that as long as the Scrooges of the BPI exist. We at EuropeCrazy say "Long Live CD-WOW!" We will certainly continue to order our CDs from them. It's only been 5 months since the end of the 6th series of "Star Academy" in France - but already auditions have commenced for the 7th (and possibly final) series of France's biggest reality pop show. Auditions kicked off in Marseille over the weekend with the usual massive turnout. This despite some very negative comments by season 6 finalist Brice, who in an exclusive interview with "Public" last week revealed that the finalists' tour has been a shambles, as the singers are paid very little and they have received virtually no support from the likes of Alexia Laroche-Joubert and Kamel Ouali to name two. As for Raphaelle Ricci, it appears that she has been frozen out of the show and claimed that she wasn't even told that their concert was taking place at Bercy. There may also be a big change to Season 7 - when it starts and ends. Fitness guru Christophe Pinna recently revealed that the show is due to start in October 2007 and run until February 2008, instead of its usual end of August to pre-Christmas run time. Over the last couple of years, Maroon 5 have enjoyed great international success with their worldwide hit album "Songs About Jane". 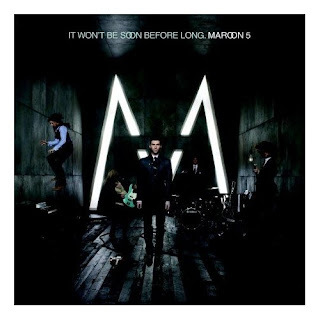 Therefore the follow-up, the strangely named "It Won't Be Soon Before Long" was a long-awaited release and is already at the top of the UK album charts. The album opens with "If I Never See Your Face Again" which could best be described as Red Hot Chili Peppers-lite. "Makes Me Wonder" is my favourite track on the album - it's a very cool and sophisticated break-up song, (and even though Adam Levine generally doesn't do it for me, I still think he looks very hot in the video). "Little of Your Time" is very catchy and foot-tapping with a bit of a retro vibe. Sometimes Levine's vocals remind me a bit of Colin Hay (ex Men at Work, whose solo songs are currently being featured in E4's "What About Brian"). There are a number of potential singles, notably the harder "Wake Up Call" whilst "Won't Go Home Without You" recalls "She Will Be Loved". If you remember Kanye West's hit single "Heard 'Em Say" then the song featured in that was "Nothing Lasts Forever". "Can't Stop" again has a harder sound, although the whole album generally has a more polished feel to it, e.g. there is nothing as gritty as "Harder to Breathe". "Goodnight Goodnight" is quite a touching ballad, "Not Falling Apart" is forgettable filler, and "Kiwi" is a little different and more funky. "Better That We Break" is another hands in the air ballad whilst "Back At Your Door" brings the album to a satisfactory conclusion. I'm sure this will be a very successful album, although it does lack some killer choruses and a few of the songs need repeated plays to grow on you, therefore it is unlikely to appreciate the huge success of "Songs About Jane". However I like it, I would say that it was worth the wait and will appeal to fans of the band's smooth and sophisticated grown-up pop sound. Bit of a mainly Nordic one this week!! Ah Nar Ni Tar Saken I Egna Hander - After Dark. Cheeky ode to Swedish daytime TV experts, allegedly loaded with double entendres, sung by a man in drag. What's not to like. Hooked On You - Infinity. Still a big hit here at EuropeCrazy HQ, bringing back memories of those early 90s ravey days. They were a bit offputting visually at MGP, but on record this hits the target. Here - Christina Undhjem. Another fave from this year's MGP. Very nice pop song, been listening to this quite a lot lately. Alexandra - Sound of Music. Vintage shoulder pad schlager from Nanne Gronvall before she got the pointy ears. Dancing Lasha Tumbai - Verka Serduchka. Name one song to define Eurovision 2007? This one. Blows Serbia right out of the water. Let's speak dance! Makes Me Wonder - Maroon 5. Will have the album very soon I hope, in the meantime I can't stop listening to this. Behind The Cow - Scooter. Recent mad effort using "Don't Fear The Reaper" and utterly daft lyrics as usual. The legend! Behind the cow! And why not. After the emotional hankie-wringing finale of season 2 (yes I'll admit there was a major lump in my throat as Denny died) would episode 1 of season 3 live up to the hype? Well, strangely...no! I found it rather disappointing as it oddly relied on flashbacks to carry the episode through. Needless to say we can look forward to many weeks of Meredith dithering about her love life etc etc.... but being Grey's Anatomy we will lap it all up of course - and there are certainly some interesting storylines to come. Grease Is The Word: it's Danny week!! Can you keep up with the format changes on ITV's "Grease Is The Word"? After last week's reshuffling of couples, the Dannys and Sandys were split and this week saw the Danny semi. Four Dannys remained: appropriately two of them were actually called Danny! Acting class this week with Jennifer Ellison and Paul Nicholas. The years have not been kind to him, have they? Michael was first up with "Burning Love". He did well and was quite convincing, and David Ian likes him. Most disturbing thing of the evening: Brian Friedman's diva-hoodie outfit thing. Very worrying indeed. Danny R - yes he can sing but it's not enough. He has a speech impediment, which in a show like this is, sadly, a drawback. He's not Danny Zuko in looks either. The sympathy vote got him this far but no further. His "I'm Still Standing" was good, and in another time and another place (Pop Idol? X Factor?) he might do very well, but this is, brutally and sadly, not the place for him. Danny B - liking the format this week: you sometimes can't tell the quality of a performer in a duet. Did very well if a little cheesy on "It's Not Unusual". He is the best looking of the remaining Dannys and is our favourite for the part. Anthony - "Higher and Higher". Ironic choice for a vertically-challenged washed-up pop star. At least David Ian was spot-on: he wants his pop career back. Watch the grin turn to a scowl, a smile turn to a sulk. Mum says: "he's an arrogant wee b*****d" and I agree. The ever changing format - make it up as you go along??? - reached the first elimination - by the panel and not the Great British Public. Just as well, as to no great surprise Danny R was dispatched, for his own good as much as anybody's. Danny B is of course the best looking male left in the contest. On "She's The One" he gave a very strong performance for a 19 year old who is mature beyond his years. We say: "You could still be Danny!!!" Anthony-Me-Me-Me-Kavanagh sang "If You're Not The One". Not quite at the level of Shayne Ward's rendition on X Factor, and he's too short and too arrogant. Format change again - can you keep up, cause I can't - now the viewers are evicting/saving: Danny B to the final!! Yay!! Anthony "failed pop star Kavana" Kavanagh - Nooooooo! So out goes Michael. At least he was a good loser. David Ian promised to work with him. Next week: Sandys semi!!! We predict: Susan and Vicky to the final. Any Dream Will Do...exit Cabaret Craig and not Lewis! Five Josephs left, and after the major outcry over the eviction of the massively talented Daniel last week, surely this week would bring justice, i.e. the eviction of Lewis? 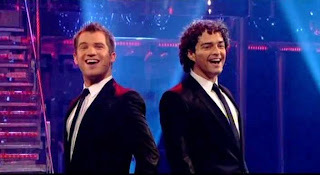 Where last week they saved the best till last, this week it was the turn of Lee Mead to kick off the proceedings. After all these weeks of deep and intense performances, it was time to see the lighter side of Lee. (Personally I prefer the darker side, but any Lee is better than no Lee at all...!) On "Daydream Believer" he delivered a performance full of life and enjoyment, but that whole pyjama-thing was so not a good look. However he managed to get The Lord's mojo working. Oo-er missus. I am trying to pick a second favourite in the event of Lee not making it (perish the thought) and Ben would appear to be it. 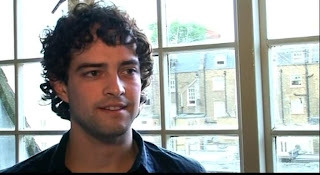 He is sooooo cute and if I wasn't so besotted by Mr Mead I would have to go for Ben. What he loses in vocal talent - and he lost a lot tonight, tackling "Crying" (not the easiest song for anyone) he makes up for in presence and charisma. Although there were many off-notes, he managed to give a simple, subtle, theatrical rendition beyond his years and did a decent enough job. I am still a bit put off by his growing arrogance though - not quite at the level of Anthony-me-me-me-Kavanagh in "Grease Is The Word" but you can tell it's increasing by the week. Be very afraid. Cabaret Craig is beginning to grow on me, but why is he wearing pink lipstick every week? If you have the mind of a conspiracy theorist you would think that "Suspicious Minds" had been deliberately chosen to get him into the sing-off. But he does have some appeal and we're glad he is still in, as he is the least theatrical of the lot and seems likeable enough. Bill would say that Craig has been on a journey blah blah blah, hoping it doesn't end tonight. And we like the hairdo. (Craig's that is, not Bill's). The paper tissue industry will not go bankrupt as long as Lewis is around. (He should have sang "Crying"!!!!) He must realise that The Lord made the wrong decision last week. Anyway he was given "Hero" this week - surely some mistake as he was anything but. Unconvincing and devoid of any personality or star quality. More cabaret indeed than Cabaret-Craig! After his performance the panel were polarised more than any other performance of the evening. John Barrowman - we looooove him - said that HE. WAS. NOT. JOSEPH. Whilst Bill (Mr Nice Guy) stuck up for him. Listen Bill - they can't all be Joseph! Stop being so positive! Last word to The Lord - "fantastic charm but no inner strength". Charm???? Finally to Keith-Teeth who is quite frankly puzzling us now. Yes he is good, yes he can sing, but strangely left me cold tonight on "Let Me Entertain You". He is too young and clean-cut for this song, and I keep visualising him in pantomime. Last week he was Liza Minnelli, this week he's Tommy Steele (LOL!) Vocally he is Joseph, says Zoe, whilst Bill "Journey" Kenwright trots out the old "You are on a journey" thing blah blah. 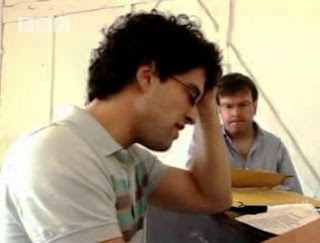 Keith-Teeth spitting out "Josh Groban and Lee Mead", overflowing with envy. It's not nice, not nice at all. Ooh....Lee and Josh singing "You Raise Me Up". Not one of my favourite songs unless Brian Kennedy is singing it, however the sight of Lee duetting with Josh screams "WINNER!" 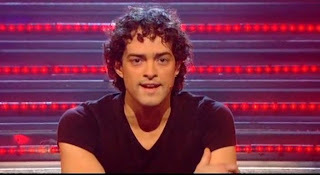 With the other Josephs relegated to backing vocals, presumably sticking pins into the Lee Mead voodoo doll whilst they wonder if any of them could ever still be Joseph. Biggest shock of the evening is that Lewis (don't get me started) could still be Joseph. F***!!!! Lee - YOU COULD STILL BE JOSEPH!!!! YAY!!!!!!!! Ben - You are in the sing-off!! Craig - You are in the sing-off, and you got the lowest vote. They know how to p*** you off. Sing-Off: No big dramatic number but instead it's Barry Manilow's "I Made It Through The Rain". Only thing is, Craig didn't, and Ben got custody of the umbrella. The Lord's reasons for dumping a Joseph are getting more bananas by the week: "it was down to casting....your acting didn't come through". Blah blah. Close every door to him: Take the coat Ben! Take the coat, take the coat. (Curse of the coat: it didn't work this week but surely next week...Yes. Lewis hopefully condemned to oblivion and a sponsorship deal with Kleenex). Four Josephs remain. Semi-final next week!! Dean is Belgium's new Idol...in "So Many Ways"
So Dean Delannoit is Flemish-speaking Belgium's new "idol". He beat Esther Sels in VTM's final screened last night. The youngster performed his debut single in the final of course - "So Many Ways" is a catchy number which is very reminiscent of The Kooks' "She Moves In Her Own Way" - a song which of course he performed earlier in the contest. Runner-up Esther needn't be too upset - she will also release a single called "That Will Make My Day" which lyrically is a bit of a gold-digging anthem and which is an equally catchy reggae flavoured number and is sure to be a big hit in the Flemish Ultratop chart. She seems a bit too clean cut for this song though! Finally got round to watching the exceptional "Ray" which of course was all about the life of soul & r'n'b legend Ray Charles. No surprises that Jamie Foxx won many awards for his portrayal of the singer. What was particularly special about this film was that it showed Charles' life warts and all, and didn't gloss over his drug use or affairs with other women. Despite being almost two and a half hours long, our attention never wandered - that's the sign of a truly great film. TV Rewind: What about "What About Brian"? Whilst our multi-channel universe is full of exciting American imports - whether it's "Greys Anatomy" and "ER" emotionally ripping your heart out, "Prison Break" and "Heroes" having you on the edge of your seat, or the tremendous laugh-out-loud absurdity of "Boston Legal", there's lots to watch these days. Dig deeper and there are a few lesser known imports slipping under the radar, one being "What About Brian" currently airing on E4. It's been compared in some places to "Friends" but I would make a comparison with "Thirtysomething", reinvented for the 21st century. Its main man Brian is a pleasant looking leading man, the theme being that he's reached an age where he's still single whilst all his friends are married and settled down. Add to that him being in unrequired love with his best friend's girl, throw in some sub plots about open marriages and artificial insemination and the result is a pleasant way to pass an hour. However, I feel it's still missing that vital ingredient to elevate it to must-see status. Obviously the American tv network agreed, and they pulled the show after 2 series. Guess we better enjoy it while we can. Once upon a time, in a previous series of "Nouvelle Star", panellist Marianne James accused the French public of having s**t in their ears, when choosing to eliminate a talented contestant and, presumably, saving a dud one in the process. May I then use the same expression tonight then, as I have just discovered that my favourite, and the most talented singer and performer in this year's competition, the divine Pierre Darmon, is out, and with him goes my interest in this competition. With Pierre, Raphaelle, Alex and Ilyes gone, Tigane is now the only remotely interesting and talented contestant left (although the fact that a non-white artist has never won this competition goes against him) - the less said the better about bland Julie and Gaetane, and don't even start me on Julien. Cult figure he may be, but a star he is definitely not. If there is any consolation for Pierre and his fellow evictees, it's that the biggest star ever to emerge from this contest in its five year existence was a young woman who came third in season 2. Her name is Amel Bent, she enjoyed both commercial and critical success with her debut CD, and in the next few weeks she will release the long-awaited follow-up. Today we learned that Liberty X, the band who were formed in 2001 by the three girls and two boys who didn't get into Hear'say on ITV's first "Popstars" series, are to split up. The split is said to be amicable with all five continuing to be friends, and they will now concentrate on the usual "solo projects". For a group manufactured on a reality show, Liberty X managed to make a few good records and they always managed to get attention thanks to their more risque image. Still, as the great philosopher Nelly Furtado would say "all good things come to an end" and in these days when pop seems to be a dirty word, so another pop act bites the dust. Radio Netherlands Media Network (www.rnw.nl) has announced that Radio 10 Gold, the Dutch radio station which fans of mediumwave radio have enjoyed since it began in the 1990s, will cease broadcasts on its 1008 kHz frequency by 30 June at the latest. This is very sad news indeed as this station showed its dull British counterparts how oldies radio should be done - with a diverse playlist and a once strong signal (675 kHz R.I.P.) which could be received reasonably clearly here in the UK, especially on those dark winter nights. Recently the station has had to cut down its transmitter power which was the beginning of the end: the station's owners blame a lack of advertising revenue for the station's downfall. One more nail in the coffin of mediumwave: how many more stations will follow? Just realised that I've reached 100 posts on this blog! The theme of post 101: Måns Zelmerlöw’s debut CD is out today! Couldn't wait to hear the soundclips of "Stand By For..." and I will definitely be ordering this one. From the 30 second soundclips on http://www.cdon.com/, it sounds like a very good pop album. Måns is already shaping up to be a very versatile performer - "Cara Mia" fans will like the very similar and schlager-tastic "Dreaming" whilst new single "Work of Art" is very reminiscent of Mika's "Grace Kelly". The result is yet another example of high quality, commercial Swedish pop, which they seem to do effortlessly - and Måns deserves to be a big star. I will review this album in full when it lands at EuropeCrazy HQ. 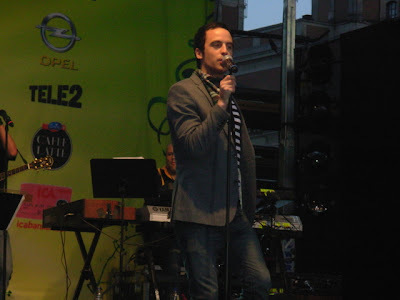 In the semi-final of "Idool 2007" it was Andrej who exited the competition, leaving Dean Delannoit and Esther Sels to battle for the title in this week's final. Dean is the clear favourite to win - not just because male contestants always win this contest, but he is young, with teen appeal and he is also quaintly endearing in an amateurish way. There has been a bit of an outcry at Esther taking a place in the final at the expense of Andrej. She is good and pleasant enough, but lacks charisma which Dean has, although there was no excuse for those stripey trousers last week. Hm. This week the three contestants with the lowest votes were Julie, Gaetane and Raphaelle. It was goodbye to Raphaelle, which I found very surprising as at one point I thought she was going to be the last girl in the competition. Guess what I got in the post today.....? Second album from the Idol 2005 runner-up, who has managed to combine commercial success and credibility. A very wise move has been to team up with Andreas Johnson's co-writer Peter Kvint, who has also produced this CD. It's a very good collection of songs, mostly in an uptempo and anthemic vein. "Troubled Skies" is a very good opener. Next is his MF 2007 entry "When The Night Comes Falling" which is still a very strong singalong. "Charlie Calm Down" is another uptempo number and very reminiscent of Andreas Johnson, whilst "I Can Feel You" is clearly inflenced by Robbie Williams and even Oasis. "Lead Me There" is a real hands-in-the-air tune, whilst "Words and Violence", which was the first single released from this album, still sounds good. "Falling In Love With You Again" is one of my personal favourites on this CD. "Kiss Kiss Kiss" is Sebastian in a state of euphoria - "I'm in a perfect state of perfect bliss/I'm in love and I don't want to stop". "Bear With Me" is already a regular on my MP3 player and reminds me a bit of Gavin Degraw. 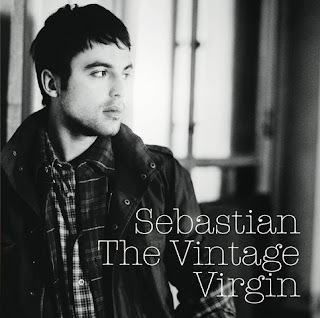 "Trigger" is probably the weakest track on the album, but the closer "Drink This Bottle of Wine" is very good but lyrically has Sebastian reflecting on a break-up. May I help you get over this, Mr Karlsson? No? OK then. Still a very good album though, and it's proof yet again that you don't need to win "Idol" to become a star. Amid poor ratings and Simon Cowell's admission that it has been a flop, something had to happen over at ITV's "Grease Is The Word". As time is running out to choose a Danny and Sandy for the West End theatre production, money man David Ian chose to reshuffle the existing couples! Song - "Ain't No Mountain High Enough". Now Vicky is our favourite girl of course but she will always be in the shadow of Anthony-me-me-me-Kavana-Kavanagh: they didn't bond, they had no chemistry, he's not that great and is only surviving on past glories. Song - "When You're Gone". He sings well but the whole thing is a farce as he won't be able to carry a show's scripts due to his speech impediment. Really feel sorry for Alison as she's one of the best girls but will face an early exit as the other half of this couple. Song - "It Takes Two". He looks like her dad. I never really liked him, and she's too young, so I won't be too upset if they go. My attention wandered and I can't even remember what they sang. Bland bland bland. Bradley & Lauren versus Danny R & Alison. B & L out: so therefore Danny R lives to fight another week. Glad for Alison but how long will the panel put him through this? "Dream" turning into a nightmare: Daniel's out! 19.05.07. "Any Dream Will Do": Six contestants were left and the contest just got tougher. Keith: "Brown Eyed Girl": OK so apparently he looks like Liza Minnelli. LOL at Graham Norton's "whatever happened to her husband" remark. Keith-Teeth does well once again however there's the usual criticism about diction, blah blah blah. The Lord says: "He could really be Joseph". Lewis: There's bland, and there is Lewis. He dared to steal Lee's whole sitting-on-stairs-then-getting-up act for his version of "The Rose". He's still weak and dull, and lacks personality. Even Zoe said so. The Lord says: "Got a way to go". Ben: Another week, another bizarre song choice. "Blue Suede Shoes"??? Cheesy as hell but at least loaded with all the personality Lewis lacked. The Lord: "Had wit and cheekiness....knew what he was doing". Keith/Lewis/Ben: "That's Life" (group number): fun version which worked well. Craig: "Black or White": wearing Lee's waistcoat outfit from last week. Surprisingly good stagecraft and managed to do Jacko without resorting to his vocal/dance mannerisms. The Lord says: "Getting better but could you deliver?....marginal". Daniel: "Evergreen": Another week and indeed another Will Young song. I thought he was very good at this type of song and that he excelled: but then what do I know? The Lord says: "Would an audience want you...singing for two hours?" Lee: "Paint It Black": they promised intense, and we got it. 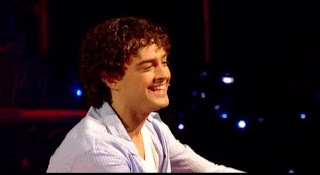 Lee Mead is in a different league and once more proved it tonight. An incredibly watchable performer - but does he deserve better than the lightweight role of Joseph? He looks fantastic. Just thought I would say that anyway, as my mind wanders to the thought of running my fingers through his hair etc etc....but he is also a very talented artist and of course he still deserves to win this competition. The Lord says: "Absolutely superb....obviously Joseph". Craig/Daniel/Lee: "Don't Rain On My Parade": absolutely professional and rained on the other youngsters' parade - check their facial expressions out!! Craig/Lee/Keith/Ben: "you could still be Joseph"
Daniel/Lewis: to the sing-off! Daniel got the lowest votes? HELLO? A real shocker. I thought it would be Lewis vs Craig this week but there you go. Daniel in the sing-off? Thought that whoever was up against the bland and emotionless Lewis would be a cert to go through to next week. "Bring Him Home" was this week's sing-off, wringing out as much emotion as you could possibly take. Yet despite Daniel's obviously better performance in the end, The Lord chose to save Lewis, thus dispatching Daniel to "poor poor Joseph what you gonna do....."
There is a theory on the web that there is a "curse of the coat" - he who touches the coat is evicted next week. Ben touched the coat this week. Go figure. Anyway, I am shocked and stunned, there are some who might suggest that the contest is a foregone conclusion that Lee will win... I don't buy that. After Daniel's eviction, no-one is safe anymore. The Great British Public are a very strange bunch of people when it comes to this type of contest! LEE MUST WIN! THERE IS NO ALTERNATIVE!! Long-awaited album from one of Sweden’s finest and most distinctive bands of recent years. They may have reached their biggest audience ever by representing Sweden at the Eurovision Song Contest, which resulted in glorious failure of course, but this band is so good that they will emerge with credibility intact, thanks to this mature and very impressive album. If you’re looking for comparisons, The Ark are the band The Darkness could have been, were it not for the dodgy falsetto and subsequent difficulties related to the rock n’ roll lifestyle. Lead singer Ola Salo is a compelling, attractive and fascinating frontman although there is a risk that his image is becoming more of a glam rock caricature of late. His vocals are also more toned down here - there are no over the top displays like on, say, "Father of A Son" but the result is a more easy on the ear slice of radio-friendly pop-rock which could be their biggest success to date - that is, if the Swedes forgive them for wrecking their sacred Eurovision final slot for 2008. Their music formula is a winner - top tunes, killer choruses ("Little Dysfunk You" and "All I Want Is You" are firmly lodged in my brain) - and some very interesting lyrics. For a band whose English is not their native language, Salo’s way with words is outstanding, even if there are a few naughty words and ideas along the way, and one very bad word - yes that one, the one you shall not speak - (in "Death to the Martyrs") nevertheless this song has a hilarious chorus. After one listen: I like it. After two listens: completely hooked. After three listens: already a contender for album of the year. Yes, that good. Been too busy this week to write a review of my brilliant Stockholm holiday, so here are some pictures which I took instead! A friendly moo at Skansen. A street in Gamla Stan. Moose - can't get away from them. The Royal Palace. Being royals of course, they don't actually live in this one - they've got a bigger and better one just outside the city. Can't resist an amusing sign whenever I go on holiday....! A traditional old Swedish country house at Skansen. Yet another one of those tall, leggy Swedish blondes. Took about 300 pictures of moose at Skansen. Here's just one. Above is the City Hall at sunset, seen from the little island of Helgeandholmen. The lovely square named Stortorget on Gamla Stan, whose architecture owes more to Holland than Sweden. City Hall again, spoiled by a rather unnecessary crane. Gamla Stan seen from the Djurgården ferry. How Swedish can a lunch be? Meatballs, potatoes, cloudberries and a Pripps Blå !! One of these three people will soon be Belgium's new pop idol. But which one? Tomorrow sees the semi final of Belgium's "Idool" and we are now down to three contestants (pictured above, left to right): Andrei Loegowskij, Esther Sels and Dean Delannoit. In tomorrow's semi, Andrei will sing: One - U2, The show must go on - Queen, and Life on Mars - David Bowie. Esther will sing Walk away - Kelly Clarkson, You oughta know - Alanis Morissette and Don’t Speak - No Doubt. Finally, Dean's songs will be Boulevard of Broken Dreams - Green Day, Great Balls of Fire - Jerry Lee Lewis and Ruby - Kaiser Chiefs. I don't really care who wins, all three are strong performers and it's anyone's guess who will make it to the final, although I will hazard a guess at Andrei and Dean, with Esther going home tomorrow. Finally...it's the EuropeCrazy Eurovision review. One minute into the proceedings and I was fed up already. Shut up Wogan! Jeez, he’s even talking over last year’s winners Lordi. Hard! Rock! Hallelujah! Shut! Up! Wogan! The presenters Jana and Mikko looked nice and over the night were less annoying than some from recent years. Mikko was a rather good looking young man too. Bosnia: dull tuneless non-song, her frock was more interesting. The most exciting bit was when a guy came on to play a bouzouki. Yes. Spain: D’Nash looked very good indeed in their all-white outfits and managed to give a fairly good performance of their energetic number. Belarus: Stage act saw his backing dancers literally climbing the walls. Koldun was still ropey in places and a bit in-your-face but I still thought this was a contender. Ireland - Eh? She was flat and all over the place. A folky shambles and Ireland should now reconsider how it chooses its entries from now on. Finland - one that I hadn’t rated initially but went up in my estimations on the night. Evanescence clone, contemporary rock entry which she sang well. Macedonia: Shortest dress of the night which would manage to divert voters’ attention from the forgettable song. Another ‘toilet break’ song - there were many of these tonight. Slovenia: She looked scary, she sang scary, boy was she scary. Hungary: Least-styled singer of the evening - just a simple bluesy number which was one of the more unusual ones this year. She did well on this. Lithuania: Most boring song this year and lacking in melody, however it was nicely staged with the girl at the front and the rest of the band in silhouette. Greece: At last something a bit more lively. It wasn’t all that great, but was lively all the same. Shades of Ricky Martin with the "Maria" reference, and wasn’t the last song tonight to mention "Shake It Up". Georgia: Debut country who did well to get out of the semis. Her red satin frock was better than the song, which sounded like Bjork singing over Madonna’s "Ray of Light". Interesting sword dancing going on though. Sweden: By now the most rewarding three minutes of the evening. Yes I’m biased. Ola looked lovely as always and sang well enough, whirled on a wheel and took his shirt off. Some said it was an arrogant performance - I just thought it was great. To a commercial break at which we once more got to meet Krisse, the annoying curly-haired blonde plucked from the audience to live her dream as a presenter. The truth is that she was a plant of course, and is a well-known comedian in her native Finland. A very tedious and unnecessary addition to the evening. France: Very likeable piece of Franglais nonsense. The band had been camped-up a bit with outfits by JP Gaultier. Also worth a mention was the bald bloke with the cat around his neck. Good fun and very different from the usual French entries. Latvia: I hated this on Thursday night but such was the low standard tonight that I was actually beginning to appreciate this, even if they were still terribly styled. Surprisingly good - and surprising that they didn’t pick up more votes. Russia: Very modern and great fun. I predicted this as a possible winner and it ended up doing very well indeed. It’s only a matter of time till Russia wins this thing, as they seem to be sending some very good and contemporary entries. And they’ve got lots of friends/neighbours to give them lots of points. Germany: He was very good indeed, a charming singer of swing dressed all in white. Interesting staging again with his name in lights at the back of the stage. He also switched to English for the final chorus. Serbia: I had this as one of the possible winners and we now know where it ended up. IMHO one of the worst Eurovision winners of recent years, it will not be remembered. On the plus side (if there is one) it proved that a glamorous performer, elaborate dance routines and an uptempo song in the English language were no longer required to win. Ukraine: Winner and runner-up back to back in the running order! Verka! Verka! Verka! 12 points from me!! Great fun from start to finish, and the one entry tonight which was really what Eurovision was once about - entertainment. Royaume-Uni: Ooh tacky. Innuendo-laden rubbish and of course no-one but Scooch themselves seemed to get the joke. However, the UK ended in a now very familiar place - near the bottom of the table. Not even Tony Blair’s well-timed resignation announcement was enough to save this one. Romania: Another joke entry which was sung in as many languages as you could fit into three minutes. A very cunning move to grab votes, and at least it was light-hearted. Bulgaria: Worst ‘song’ tonight. Even more horrific than I remember it from the semi-final. As I said before, it’s not a drumming contest. Puzzled at why this did so well. Geographical reasons? Turkey: Second entry to "shake it up". Sadly he was dressed in the same awful outfit from the semi-final. Not the worst though, and always guaranteed votes. Remember the days when Turkey was always near the bottom of the table? Now they can always be found near the top. Armenia: Big meaningful ballad minimally staged in front of a tree with paper flying from it. Why was he covered in blood at the end of it? Maybe that should have happened to a few more contestants. Did very well in the voting, can only think it was the combination of a good draw, neighbours and expat voting? Moldova: Another Evanescence/Within Temptation style song which was a surprise qualifier from the semi. So it was all over bar the voting. Which used to be the best part of the evening...but now it’s killing the contest. I’ve been watching Eurovision for more years than I would like to admit, but the fun and unpredictability has gone out of the thing, when you can yell out who’s giving 12 points to who before they have even announced it. Despite Helsinki 2007 being a well-organised contest with good staging and presenters who for once didn’t get on your nerves, all that will be overshadowed and remembered as the "year of the East" when none of the western European countries made it out of the semi final, and the ones which did make the final were dispatched one by one to having to qualify for next year’s semi. It’s no use saying that the west needs to send better songs. Each country could send the best songs sung by their biggest stars and they’d still end up near the bottom of the heap. But enough of us disgruntled fans moaning about things having to change/ditch televoting/bring in East and West semis/go back to juries etc etc. In the end it’s down to the broadcasters themselves to put pressure on the European Broadcasting Union to change the contest, which is spiralling into decline and will get worse as long as the neighbour/diaspora voting scandal continues. And before you say anything, I’m not a bad loser (Scooch may have represented the United Kingdom but they sure didn’t represent me) but it’s time for a change, otherwise it will be time to switch off for good. Any Dream Will Do: Rob "The Builder" - Demolished! Another week and it’s getting tougher. We’re down to seven contestants battling for the role of Joseph so let’s go go go. Rob: "The Builder" made a good start with "Born To Run" which suited his more rough and ready personality. I’d have thought he could "still be Joseph" but then again there’s the public for you! Daniel: Giving Mr Nice Guy "Maggie May" to sing was an attempt to show a tougher side, but all it did was send him once again into theatrical mode. Dressed tonight like a schoolteacher, and we weren’t impressed by his posh-bloke-sings-Rod act. Lewis: He has his limitations and "I’m A Believer" didn’t prove otherwise. A very lightweight performance, which is not enough at this stage of the contest. Bottom 2? Lee: After his so-called "rubbish" week last week he was back on top form with a fantastic version of "Leave Right Now". Very wise song choice which excellently showed off his singing voice and acting ability. Only one gripe this week: grey waistcoat OK, but missed the red outfit. Bring back red Lee next week. Craig: "Cabaret Craig" reinvented himself with a very good performance of "This Is the Moment", proving that he had really improved, even if he’s a long way from being Michael Ball. The emotion proved too much for him as he blubbed at the end of the song. Ben: It was his turn for cabaret this week - Tom Jones’ "Help Yourself" is not the best song choice but he gave it all he had, even if he forgot his words a couple of times. My other prediction for bottom 2. Keith: The youngster is now rated as one of the favourites to win, thanks to some very clever song choices - and The Lord likes him too. Don’t get me wrong, he’s good but he’s too young and could eventually crack under the pressure of such a high-profile role. The sing-off: Lewis was a cert this week, but Rob? Surely Ben should have been there in his place. In the sing off both sang a song from the "Blood Brothers" musical. Although I thought Rob did better than the insipid Lewis, The Lord saved the youngster and sent Rob back to the building site. It was obvious that he would get rid of him at the first opportunity. Best tonight: Lee, not that I’m biased or anything because I am (!!). He continues to convince with his professionalism and talent, he looks the part and I feel the panel are giving him a much harder time than the other contestants because he’s already a professional. It was a long time coming, but Soma is finally out. Haven't seen all the videos yet, but I made sure that I got to see Pierre. This week he took a risk and sang Mika's "Grace Kelly", all the jury loved him but Marianne James didn't. OK so it was a bit off in places but he can get away with anything! Hopes: Sweden to win! The Ark are a great band, Ola Salo is a compelling and charismatic frontman and "The Worrying Kind" is soooooo catchy! If Sweden don't win, I'd be quite happy if Belarus won. "Work Your Magic" was one of the first songs chosen in national finals season and it immediately screamed "Winner" - however Dima Koldun can sometimes struggle with the high notes. If he gets it right tonight, this is a major contender. 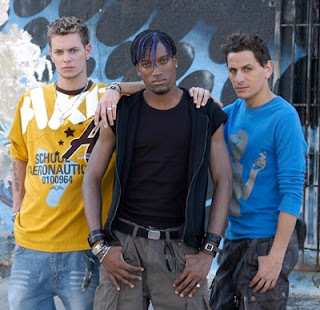 Spain's "I Love You Mi Vida" is again one of the catchiest songs in the final, and D'Nash are a rather appealing boyband. However their vocals can be a bit ropey and might let them down. Also singing 2nd, which is a cursed place at ESC. Ukraine is bookies' favourite of course. Yes, Verka is a freakshow, but I'd rather have her and her lasha tumbai any day before some of the wailing screaming tuneless 'songs' which are in tonight's line-up. Russia have the most contemporary sound in the final and should do very well indeed - but we haven't heard the Serebro girls sing live yet so it could all go wrong. I fear the worst: Serbia is now looking like a cert to win. Having watched Marija Serifovic's semi-final performance, I find the whole thing rather creepy and sinister. She is admittedly a very good singer, but this is just a great big waily ballad with Balkan mass appeal, but it would not make a classic winner. Slovenia: Don't get me wrong, I have liked Slovenia in the past and they've always had a raw deal (especially last year's failure to qualify) but this one really stinks. Disco-opera (and that's flattering it) sung by a soprano with bizarre facial expressions. Bulgaria: It's a song contest remember. Not a drumming contest with occasional yelping. Two years out of date - the 2005 contest was full of this type of nonsense. Predictions: I think any of the following have a real chance - it's between Serbia, Latvia, Ukraine, Belarus, Sweden and Slovenia. Who said "sitting on the fence"???? OK then - Ukraine! Thanks to Sveriges Television and Y** T***, I was able to catch the semi final, not all of it though so it wouldn't be fair for me to review it. I will keep my review for the final. Suffice to say my jaw dropped to the floor when I found out which of the songs were going to the final. 'Western Europe' was almost wiped off the Eurovision map whilst 'Eastern Europe' marched on. Particularly gobsmacked that Switzerland and Iceland didn't make it - especially the latter as Eirikur gave a passionate and strong performance. Bulgarian wailing/Latvian opera/Hungarian blues/Slovenian opera etc etc, only Belarus (If Koldun keeps his best vocals for Saturday this is a serious contender) and Turkey (It's OK, but please restyle Kenan so that he doesn't look like a circus ringmaster) provided remotely interesting qualifiers. I still don't get Serbia and its rather creepy presentation, but will acknowledge that it will be top 5 tomorrow. At this point I will stick my neck out for "Dancing Lasha Tumbai" to win, although if it was down to personal preference there is only one winner for me - "The Worrying Kind" by The Ark, which will hopefully bring it back to Sweden, it's been 8 years since a win and Ola and the boys deserve it - even if they are far toooooo good for Eurovision: watch out for my review of their new CD "Prayer for the Weekend" which is rather great. More Euro-chat from me tomorrow. Guess who's back - back again!! Hoping to post some nice pics of this beautiful and very grand city over the next few days. This is my final posting before heading off on holiday. Before I go, I would like to say thanks to anyone who's taken the time to read my blog and I hope you enjoy it. Your comments are very welcome. Thanks to the people who have already left comments, they are much appreciated. See you on Friday! All things being well, I should be in Stockholm this time tomorrow and I'm so excited. Fingers crossed that the weather won't be too cold/too wet. Hoping to take lots of nice pics, some of which I'll put on this blog and I'll also be writing about my experiences of the city. Will report back either on Friday or Saturday, time permitting of course. Popstars to return in France? They were all winners of "Popstars" in France, which used to be screened on the M6 channel. The show was axed following the poor commercial success of Whatfor, who didn't have much success after theie debut single "Plus Haut" which I liked a lot. M6 concentrated on the much more successful "Nouvelle Star" since that time. News reaches us from the French gossip press that M6's rivals TF1 are planning to revive the show - and that it will replace "Star Academy" which is tipped to be axed following its 7th series. 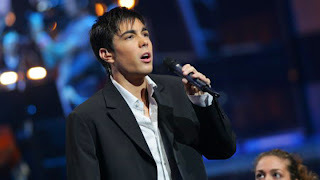 On 28th March we announced that Star Academy 4 winner Gregory Lemarchal was taking a year out of the music business. Today I have just learned that the young singer, aged 23, died on Monday 30th April after a long battle with cystic fibrosis. During the series in 2004, he won over the French public with his determination and flawless singing performances week after week, and from day 1 he was predicted to win the contest - which he did, beating off my own favourite Mathieu Johann in the final. Gregory's recording career was less successful than previous Star Academy winners although his debut album went platinum and his lve concerts were very successful, but he couldn't get much airplay on French radio. In 2006 however, Gregory had lots of airplay and chart success with his duet with Lucie Silvas "Meme Si", and he found love with former "Bachelor" contestant Karine Ferri - the French gossip mags initially viewed this as a publicity stunt, but they were proved wrong as the couple's romance proved to be genuine. Yet just as things seemed to be going well, he lost his battle with the disease which he had bravely fought for years. The president of Universal France, Pascal Negre, described Greg as "a unique talent, a popular artist with an unforgettable voice and great generosity". A very sad loss. Grease Is The Word: week 2. As you know, we are more "Any Dream Will Do" than "Grease Is The Word" at EuropeCrazy HQ, but we have to admit that this week, in the immortal words of Simon Cowell, "the bar has been raised". This week's theme was "songs from movies". Firstly to Danny R and Lauren with "Flashdance". Danny R, of course, has a bit of a speech impediment, but that is not holding back his vocals. They were both good singers tonight, but the harmony-arrangements were hit and miss. Next to Michael and Vicky, one of the strongest pairs in the contest. Their "Up Where We Belong" was good. He is not quite Danny, but they were good - best tonight so far. Wayne and Hayley-daughter-of-Sinbad sang "When You Say Nothing At All". They are not Danny and Sandy at this stage of the contest: the harmonies didn't convince me at all. They were OK but that's all - they were singing to and not with each other. "Don't Let The Sun Go Down On Me" is always a safe bet and it was tackled by Richard and Joanna. Good harmonies, unlike earlier in the evening. Richard has a real rough and ready Danny-quality, but tonight he was better than she was. And now to Anthony "Kavana" Kavanagh and Alison, with "Nothing's Gonna Stop Us Now". Potential winners? They do look the part, and did well. The Gest said that they are Danny and Sandy. We say that they are in with a big chance. Danny and Susan "Brother of Brian" McFadden tackled "I've Had The Time of My Life". We at EuropeCrazy HQ DO. NOT. GET. THEM. It's who you are, not how good you are. And finally, Bradley and Michelle. A little anonymous, she was a bit off in places but they did quite well and the baying crowd seemed to like them. Good draw too which should see them safe this week. AND SO TO THE RESULTS!! We're not happy, as the bottom 2 were Richard and Joanna vs Michael and Vicky, neither deserved to be up for eviction but after the "You're The One That I Want" sing-off, the panel saved Michael and Vicky, thus Richard and Joanna were not 'the ones that they wanted'. Will justice be done next week? Any Dream Will Do: "Teeth" Extracted! First tonight was Ben Ellis, the young man with nine lives. He is beginning to grow on me and is admittedly rather cute, not in the bowl-me-over Lee kind of way, but pleasant enough to look at whilst waiting for the main course. He got "Addicted To Love" and although he is still more "X Factor" than musical theatre, he did look very good in his shirt and tie, even if he hit a couple of dodgy notes. It may well have been one of his best performances to date, but he's still too young to be Joseph. Craig Chalmers should be awarded an OBE for services to the suntanning industry, but he is still more cheesy cruise-ship cabaret than musical theatre. He turned the disco classic "Oh What A Night" into a rather static effort and at this early stage of the evening I would say that his days were numbered and he was a cert to go tonight. 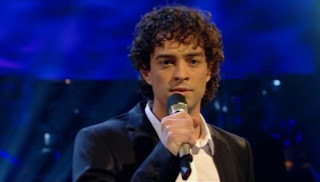 It's been a difficult week for Lee Mead, as he has been sick with some horrible throat/virus thingy. Nevertheless he continued to rehearse (pictured above, and he even looks good in glasses!!!!) and thankfully for us, recovered in time for the live show. Lee IS Joseph of course. His performance last week touched me to the point where I am now completely besotted and trawling the web to seek the views of like-minded Lee-lovers everywhere. This blogger remains besotted by him so don't expect any criticism here. But even Josephs get horrible throat virus-thingies during the week so boo-hiss to the "Lord" for giving him "All Right Now", a difficult song to sing even when you feel OK, compared to some of the safe and dull song choices on offer tonight. As ever, he looked rather fab in his usual black/red combination but this, understandably, was not his best week - he was lucky to have made it at all - and we at EuropeCrazy HQ were none too chuffed to hear Zoe "Vocal Coach" Tyler and Denise "Big Breakfast" Van Outen turn against the man-who-would-be-Joseph. Rubbish? We think not, and we predict that they will eat their words next week when he is well again and back on top form. The panel saved their praise for shelf-stacking-Joseph Keith Jack, whose "Love Is All Around" was a safe bet. He is good though, and we can still see him going far in this contest, although we feel he is still too young for such a demanding West End role. Lewis Bradley still eerily reminds us of the legend that is Bob Downe. That aside, his "Dancing In The Moonlight" was not his best performance and he was off-key quite a lot. Not his best week - possibly his worst so far. Take That songs are not the easiest to sing, as the Josephs are discovering. "Patience" was Antony's downfall last week: this week Rob "the Builder" McVeigh had a shot at "Back For Good". It wasn't the worst I've heard, and he has potential but not for this particular musical and he'd suit something like "Guys and Dolls" or "Chicago". His performance skills are rather limited though, and he used all his usual tricks. "All Night Long" was tackled by Chris Barton whose confidence, limited as it was, has been shattered over recent weeks. He is a good singer and has all the right moves when it comes to musical theatre - but his nerves will always hold him back, sadly. Daniel Boys is and always has been the main competition to Lee in the search for Joseph. In the beginning of course, we loved Daniel. He was the new Will Young. But over the weeks, we at EuropeCrazy HQ have noted his limitations and tonight was no different. He is good on the whole theatrical performance thing, and we carefully observed that he did manage the impossible - to turn McFly into musical theatre, but THAT GRIN MUST GO!! Interesting note: did you see the fellow Josephs' faces when they played the clip of mini-Daniel singing a song from "Cats". Lee's face was a picture!! After an unnecessary interlude by Meat Loaf, it was time for the results and sing-off. Keith, Rob, Lewis, Lee, Ben and Daniel saved. Therefore it was Craig (blue Joseph) and Chris (lilac Joseph) in the sing-off. "The Lord" chose "The Long and Winding Road" and chose once more to save God's gift to Fake-Bake, Craig, in preference to the toothsome Chris. Get the Kleenex out once more for the "Close Every Door" finale. At least, unlike Seamus, he's not been promised "a show of his own" and he departed with some dignity. Nouvelle Star 2007: Pierre Darmon does it again (and he's on YouTube as well). Not only did our favourite contestant in this series of "Nouvelle Star" give another solid performance in this week's show, but there are also videos appearing on Y**T*** of footage from gigs which he played before the French talent search began. Again he was very impressive and a real professional. Idool 2007: another one bites the dust. Still to see the videos, but on checking www.vtm.be, I notice that Wim is the latest candidate to be evicted from the Flemish series. Andrei, Dean, Elke and Esther are left, and I wouldn't like to predict who will go next. Three days till we hit Stockholm, work is over and it's time to party! Just thought I'd post a photo of a moose to celebrate our imminent arrival. (The weather will be a bit better though!). Still very very excited about returning to Sverige after 11 years. Just been to www.nouvellestar.fr to find out that Alex has been eliminated from the competition. Oh noooo! I liked him too, thought he was good and he reminded me of Corneille, which isn't a bad thing. The Curse of "Public" strikes again - everyone who gets a feature in the magazine is eliminated (please don't let them write about Pierre for a few weeks eh!!). Haven't seen the videos yet but according to comments on that site, it looks as if Soma should have gone (this is getting like Groundhog Day). Lovers of the most cheesy music on the planet - Swedish schlager - should and must flock to www.svenskafavoriter.se . Their format could be described as all cheese, all the time. They play only Swedish music, both in the English and Swedish language. Sometimes they take it too far though - there is NO excuse for Anna Book's "Samba Sambero" which has just been on - yes I am listening to this station right now. It's midnight on Wednesday, need to go to bed, got work tomorrow. Need to check Nouvelle Star results first though. Ah the good old internet thing. Where there's a reality show there's sure to be blogs, forums, wannabe stalkers, all that kind of thing. I am now in the advanced stages of Joseph-itis, although my obsession is, needless to say limited to one man only (three letters, first word L). Enjoying the Lee appreciation thread over at the mighty Digital Spy (www.digitalspy.co.uk) however there generally seems to be a view across various sites/forums that it's a two horse race, those two particular horses being Lee and Daniel. Initially Daniel was my favourite thanks to his outstanding version of "You Give Me Something", however over the past 2 weeks I've gone off him a bit, maybe the song choices are wrong as he's still possibly the best singer in the competition - however Lee has the complete package and deserves to win "Any Dream Will Do". That is, if he makes it to the final. Just found out tonight that he has, in true reality TV style, caught some kind of virus and may not be well enough for Saturday :-(((( Fingers crossed he makes typically reality TV-type recovery in time for Show 4. Countdown to Stockers a.k.a The Frozen North? Five days to go till I make my way to the Swedish capital. The weather over there has been variable to say the least with a mixture of high and low temperatures. 9 degrees one day and 19 the next. Fingers crossed that the sun will shine and it will stay dry. I'm so excited I can't even put it into words! !